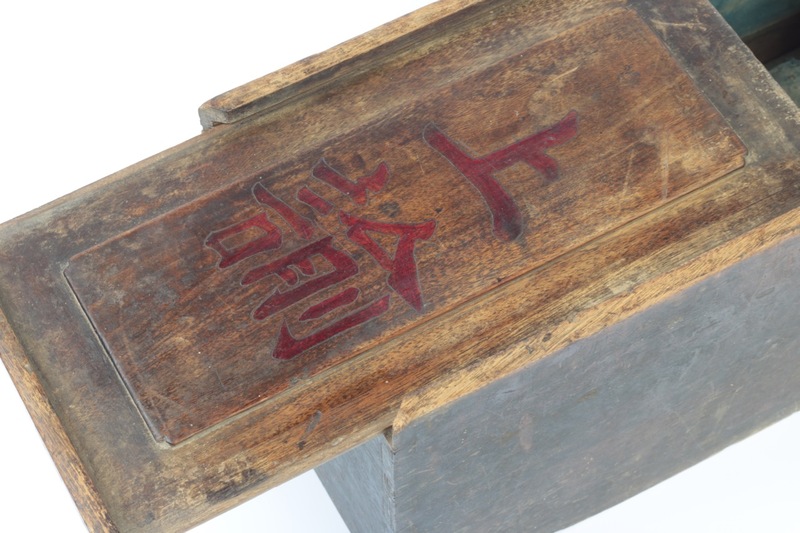 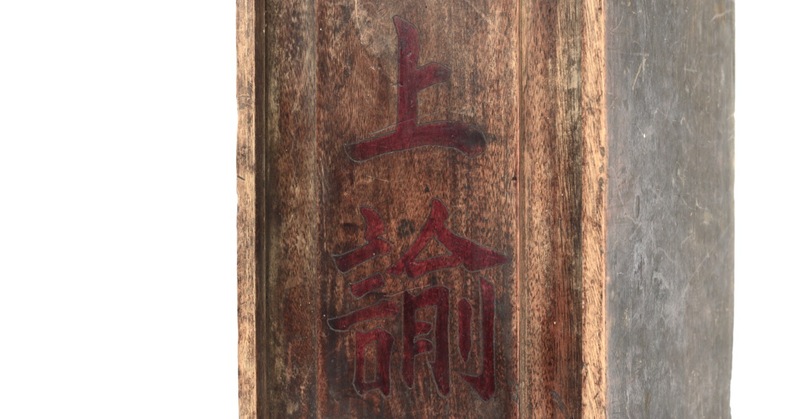 A substantial wooden box with sliding cover on which the letters 上諭 (shàngyù) or “Imperial Edict” are engraved and painted in vermillion, the color used by the emperor in writing. 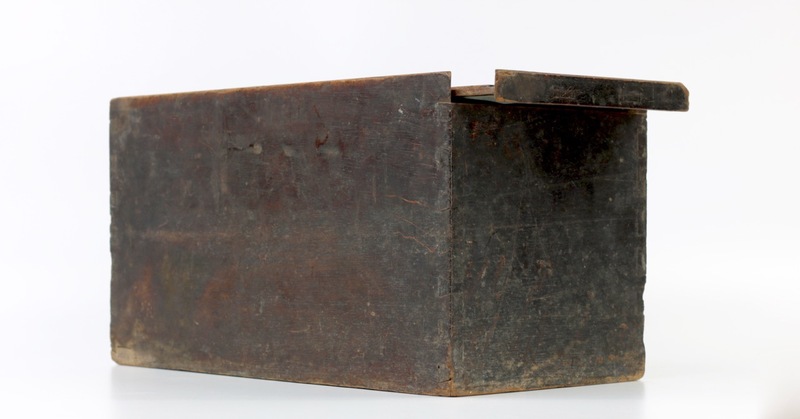 Inside the box is a smaller on a rectangular base that was used to hold the edict. 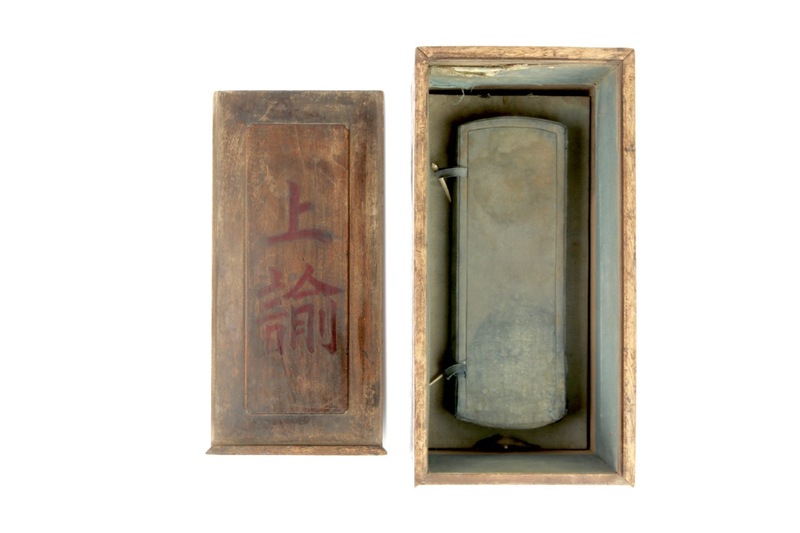 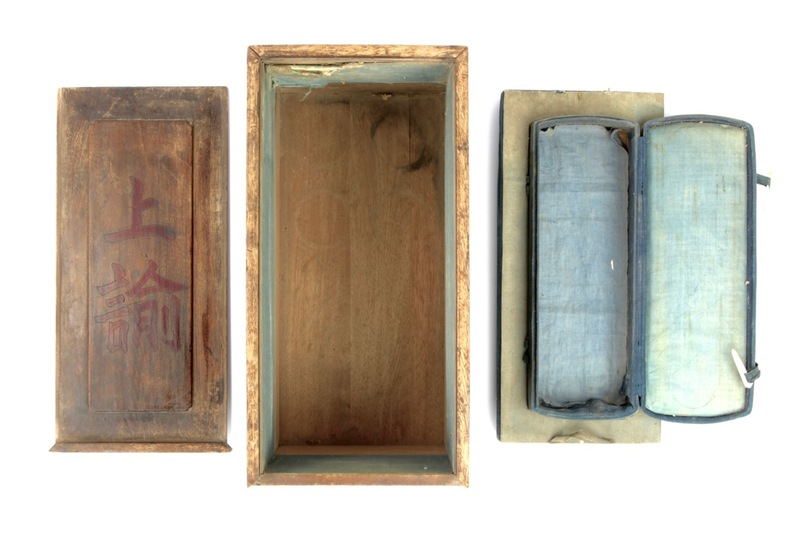 The lid of the box is fastened with two bone pins in the typical Chinese fashion. 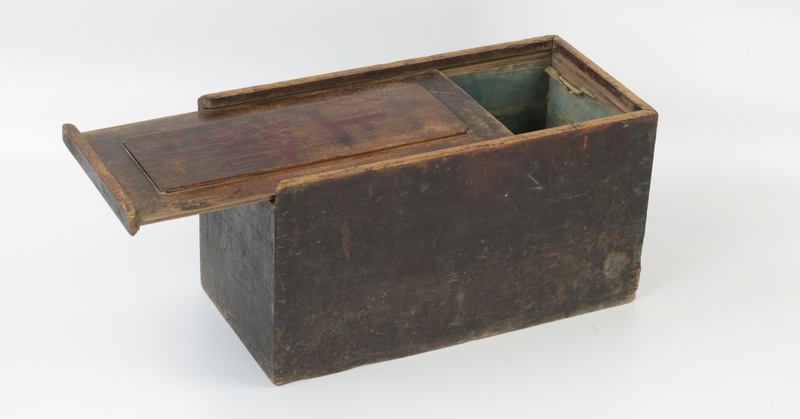 The box is made out of thick hardwood planks joined together with precisely executed dovetails. 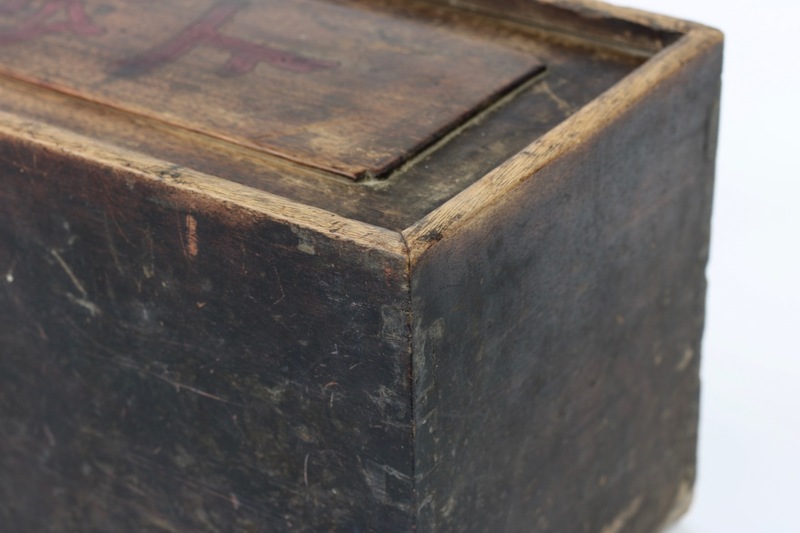 The box seems to be of considerable age, with wear and tear that was probably caused during transport over long distances. 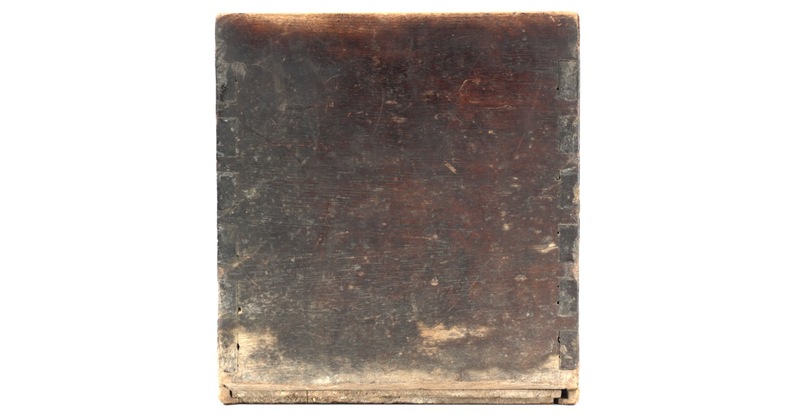 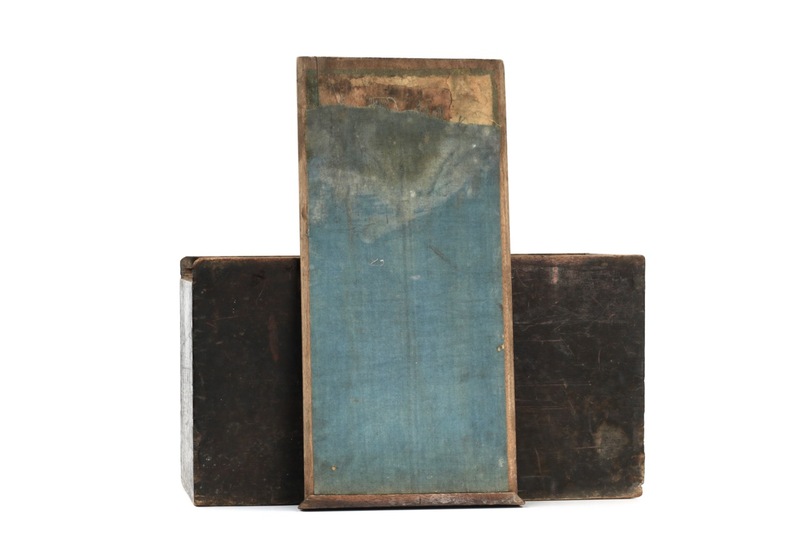 Some old damage to the wooden base on one side, and damage and losses to the blue linen inside linings. 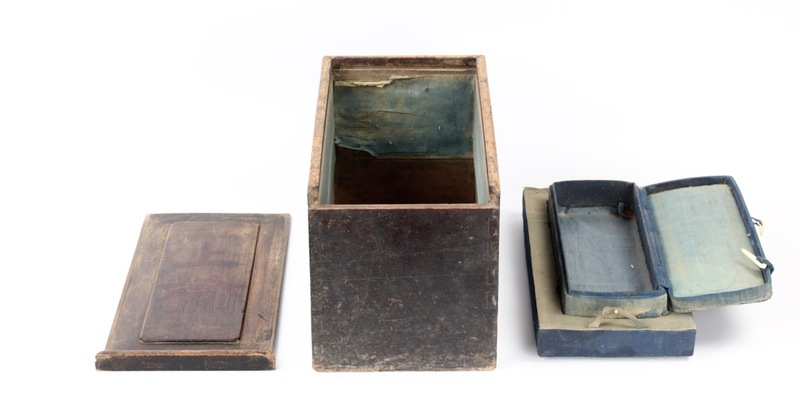 Such boxes were probably used to move imperial orders from the emperor’s quarters to the recipient, like a governor or a battlefield commander. 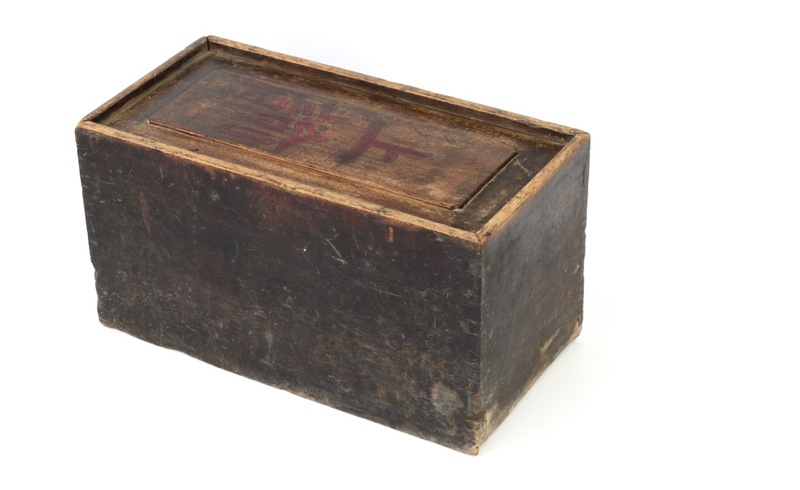 It would contain a letter by the emperor's own hand, written in the vermillion ink that only he was allowed to use. 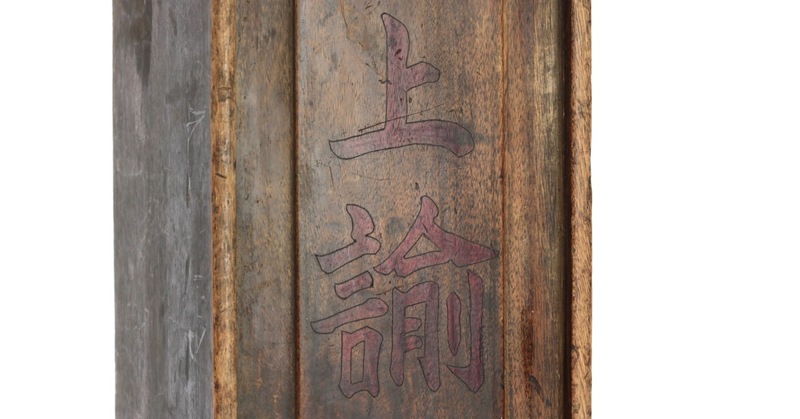 Due to unique palace memorial system where even the lowest ranks could send a confident letter straight to the emperor, one never knew what kind of information the emperor had on local affairs. 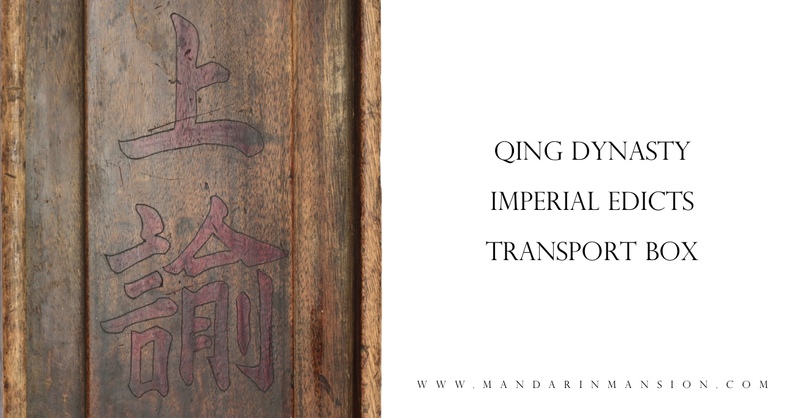 Hard-working emperors like the the Kangxi, Yongzheng or Qianlong emperors were sometimes very well-informed and they could be ruthless when dealing with faults in their administration, to set examples for others. 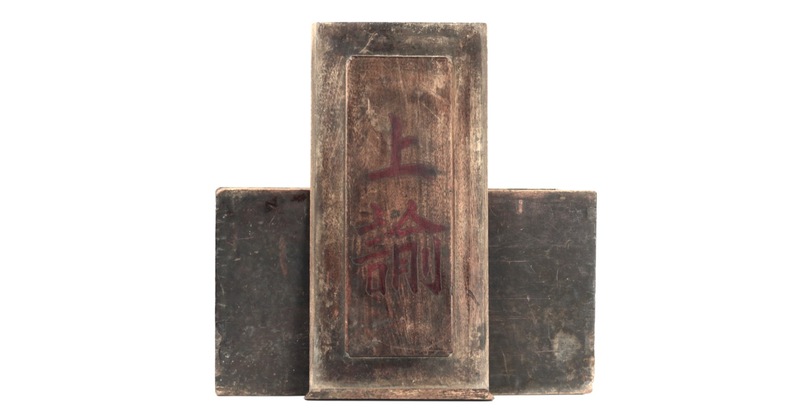 As such, imperial decrees could have far fetched consequences for the receiver, from promotion for merit -and great fortune- to a death sentence for supposed neglect or corruption. 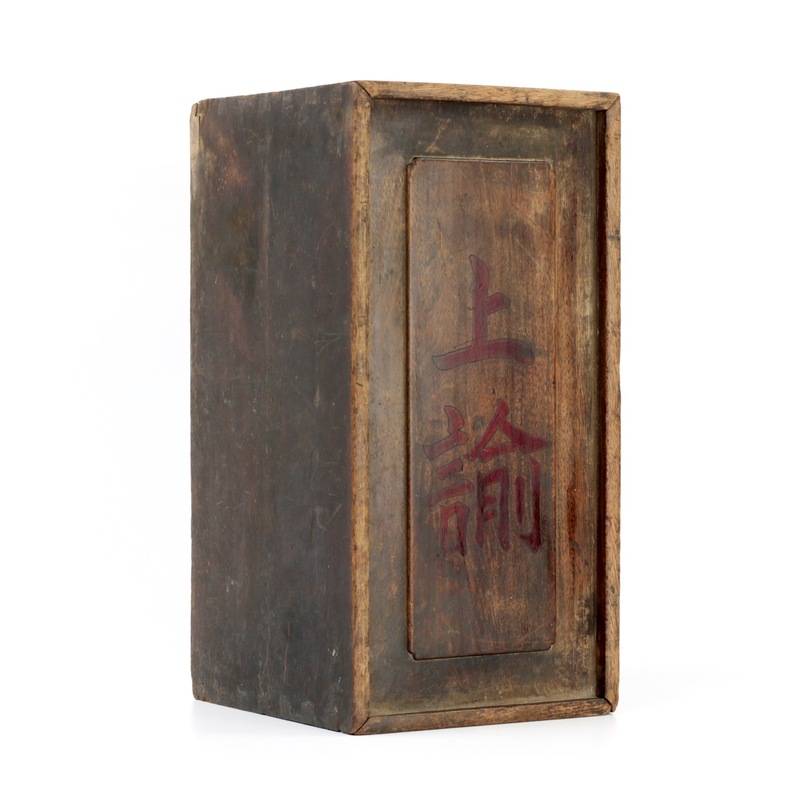 One can imagine the sight of a box with the vermillion red characters 上諭 would make many a receiver's heart skip a beat. Many sumptuously decorated Qing imperial boxes exist in collections around the world, but rarely do we find the practical transport cases used by the highest echelons of the Qing administration, probably because few people thought about preserving them at the time the dynasty fell. 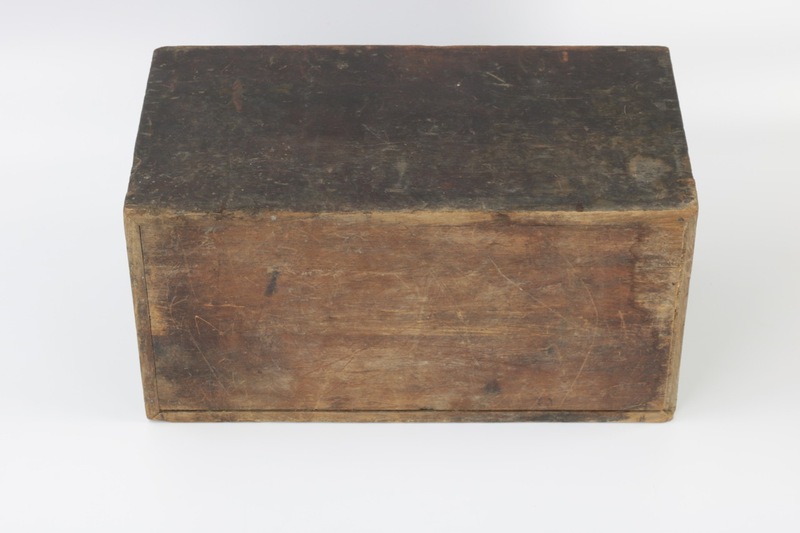 I know of no comparable examples in museum or private collections. 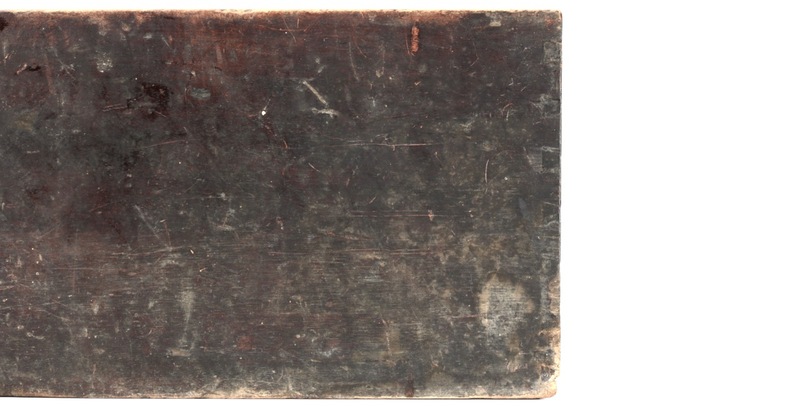 An extremely rare find. 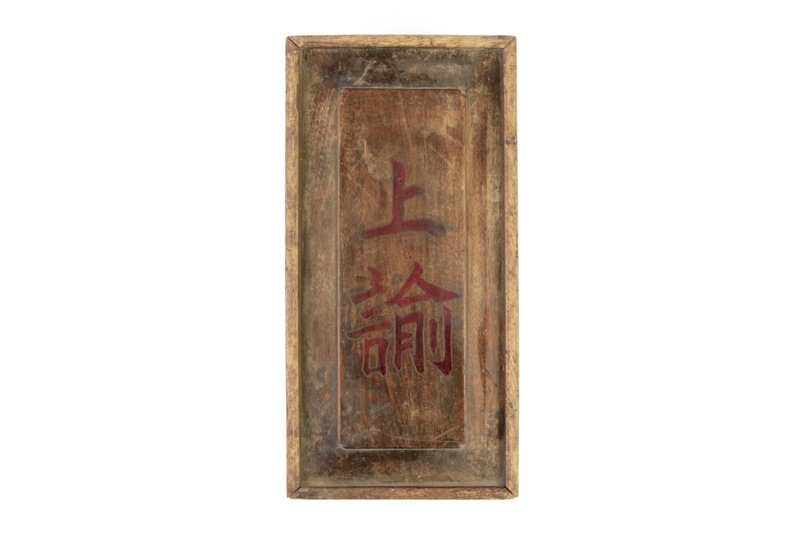 An extremely rare box with Imperial Edict written on the front in imperial vermillion. 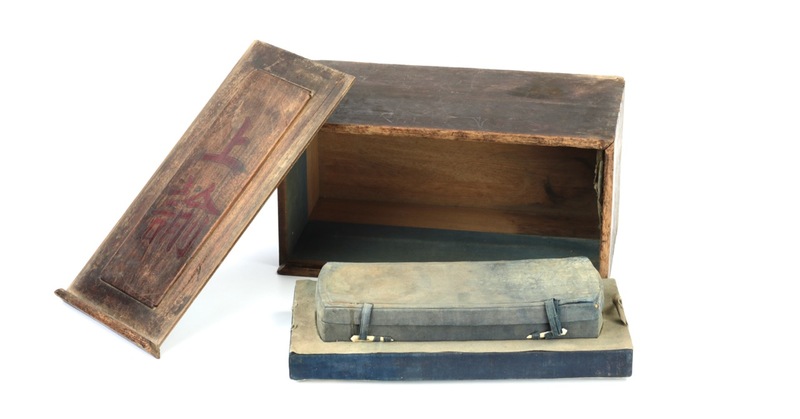 These were used by the Qing administration to transport imperial edicts.